Implementing an open innovation strategy presents many challenges for management. Our research in this area is focused on helping companies understand and overcome these challenges. The Forum is a structured programme where members share best practice, explore 'hot topics' along the food and FMCG Value Stream and participate in optional, accelerated Open Innovation (OI) collaborations. More details here. The Forum is a structured programme where members share best practice, explore ‘hot topics’ along the FMCG Value Stream & participate in optional, accelerated OI collaborations. IfM's Education and Consultancy Services are able to offer practitioner support to assist individual companies to develop appropriate skills and to evaluate current practices and accelerate the adoption of Open Innovation. Ahn, J.M., Mortara, L., Minshall, T., 2013. The effects of open innovation on firm performance: a capacity approach. Science, Technology and Innovation Policy Review 4, 74-93. Mortara, L., Ford, S.J., Jaeger, M., In press. Idea competitions under scrutiny : Acquisition, Intelligence or Public Relation Mechanism? Technological forecasting & social change. Minshall, T., S. Kouris and L. Mortara (2011). "Development of an Infrastructure to Support Open Innovation." SSRN Online from http://ssrn.com/abstract=1935691 . Mortara, L., J. J. Napp, S. Ford and T. Minshall (2011). Open Innovation activities to foster Corporate Entrepreneurship. Entrepreneurship and technological change. L. Cassia, T. Minola and S. Paleari, E. Elgar: 287-316. Minshall, T. H. W., L. Mortara, D. R. Probert and R. Valli (2010). "Making 'asymmetric' partnerships work." Research Technology Management. 53(3): 53-63. Mortara, L., J. Shawcross, J. Mills, J. J. Napp and T. Minshall (2009). Skills for open innovation. RADMA. Vienna 21-24 June 2009. Minshall, T. H. W., L. Mortara, S. Elia and D. Probert (2008). 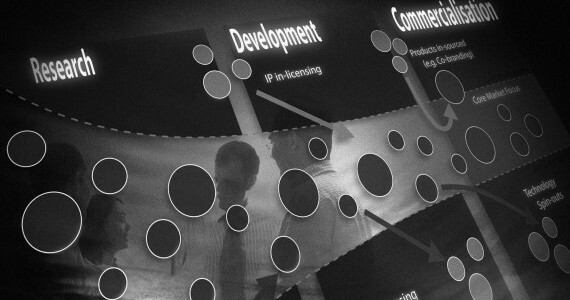 "Development of practitioner guidelines for partnerships between start-ups and large firms." Journal of Manufacturing Technology Management 19(3): 391 - 406. Mortara, L., T. H. W. Minshall, J. J. Napp and I. Slacik (2008). Implementing Open Innovation: cultural issues International Society for Professional Innovation Management (ISPIM) 2008, 15-18 June. Tours, France. Minshall, T. H. W., L. Mortara and J. J. Napp (2007). Implementing Open Innovation: Challenges in Linking Strategic and Operational Factors for HTSFs Working with Large Firms. 15th High Tech Small Firms Conference, 14-15 June 2007, Manchester Business School, Manchester, UK. Minshall, T. H. W., L. Mortara and J. J. Napp (2007). Open innovation: Linking strategic and operational factors. R&D Management Conference 2007, 4-6th July 2007. Bremen, Germany. Minshall, T. H. W., S. Seldon and D. Probert (2007). "Commercializing a disruptive technology based upon university IP through open innovation: A case study of Cambridge Display Technology." International Journal of Innovation and Technology Management 4(3).